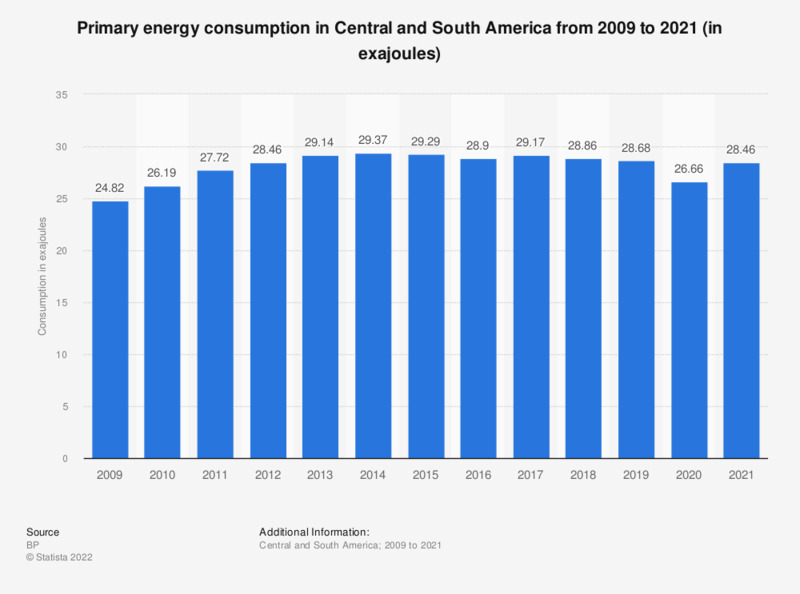 This statistic represents the total primary energy consumption in Central and South America between 1998 and 2017. In 2017, around 700.6 million metric tons of oil equivalent were consumed in this region. In this statistic, primary energy only includes the commercially traded fuels. Oil was measured in million metric tons, all other energy sources in million metric tons of oil equivalent.